Start at the beginning of the world and take a wonderful journey, through the Old and New Testaments, to the city of God in Revelation. Meet new friends, travel to exciting places and discover some of the greatest stories ever told. 188 retold Bible stories for young children and adults to enjoy together, with wonderful photographs of the much-loved Bible Friends on every page. It is a lead-in to regular Bible engagement for children who are too young to read. 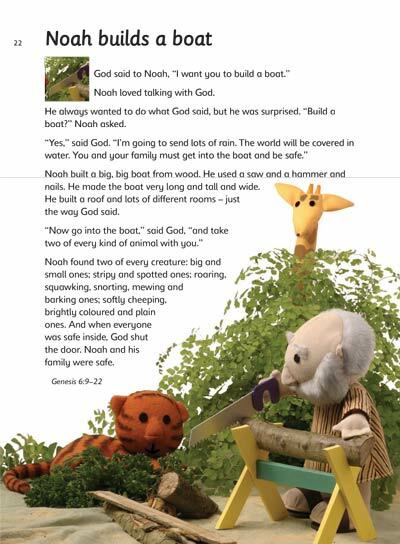 The stories are designed to encourage an adult to share the Bible-time with a child, opening-up possibilities of spiritual nurture. 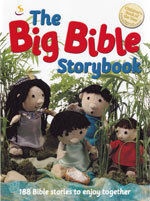 The Bibg Bible Storybook is suitable for use in children's groups and at home, by parents and carers.